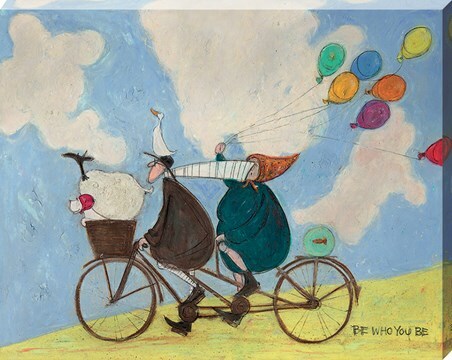 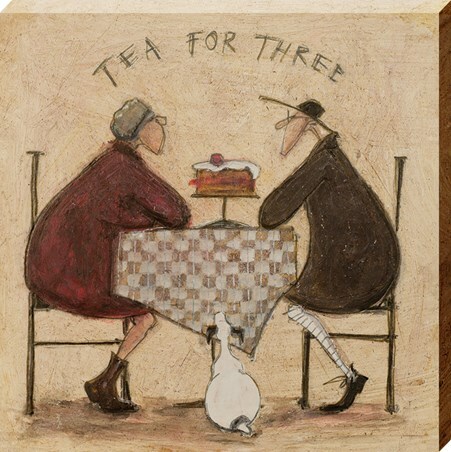 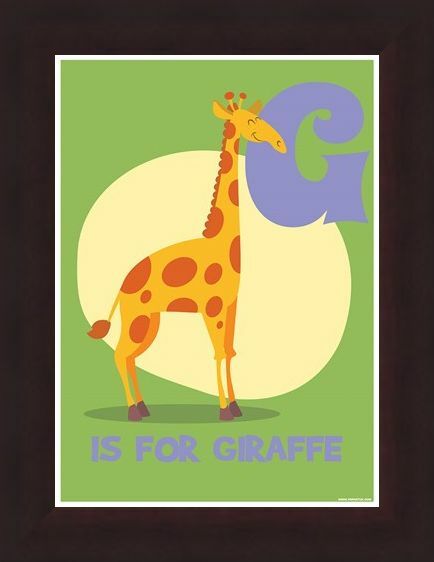 The giraffe has the longest neck of any land mammal...but the person who would love this mini-poster might not have the longest memory for letters! 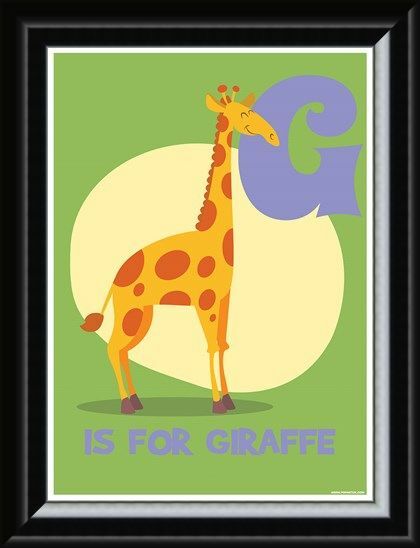 Perfect as a standalone piece of accent decoration - or an educational aid - the animated giraffe stands proudly on a green, vegetation coloured background, with its long neck draped lazily over the letter G. G is for Giraffe! 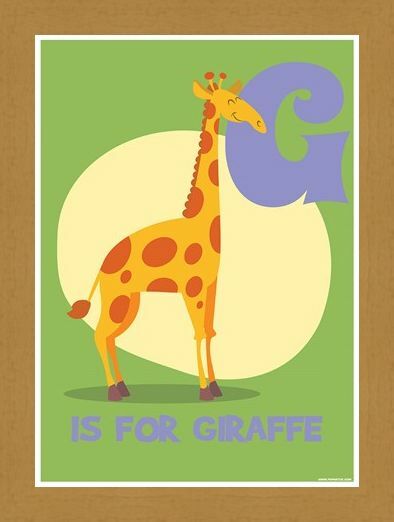 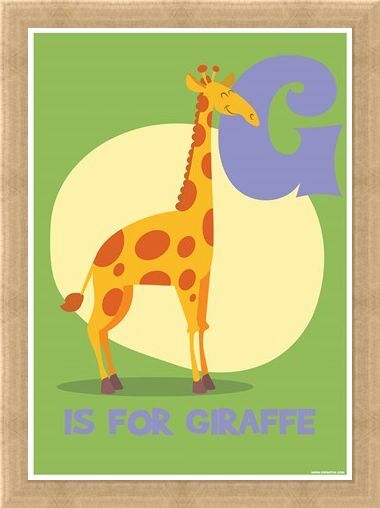 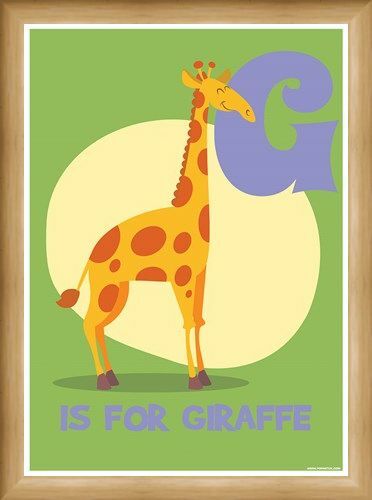 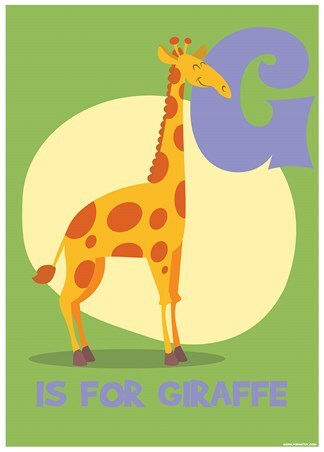 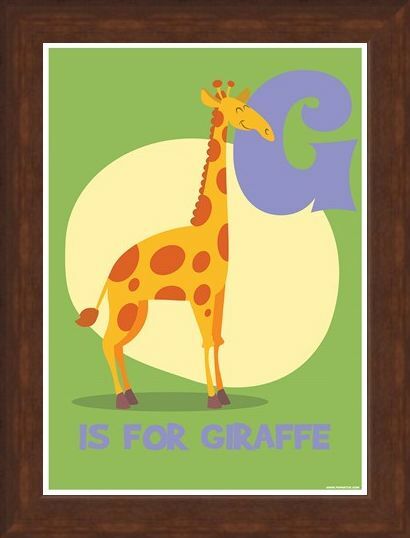 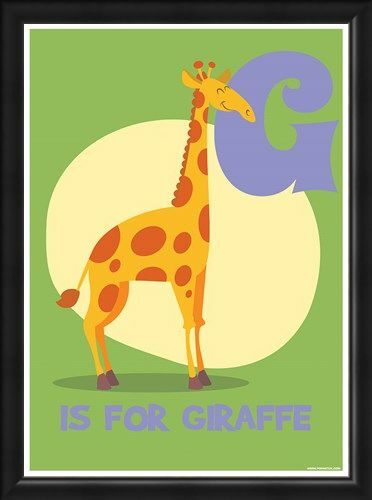 High quality, framed G...is for Giraffe, Animal Education mini poster with a bespoke frame by our custom framing service.